Title Text: YES the unclosed air quote is on purpose. Think about it. Wow, how much did he charge Itsuki to get his muffler and bumper back!? Ohhhhh Mr. London, you strike again ... Remember me, how he became a lawyer ? And then Jack was like ~ Wait a minute... $7000?!? Oh man, the air quote thing is brilliant, Rick. I love it. I never would've picked up on it. Oh, it is NOT. It's the easiest thing in the world--there's only one right answer and anything else is wrong. Liking the vest Jack is wearing. And someone please explain this one to me. I think Rick is just making Mr. London's complete incompetence a running gag. He was there to make sure Jack wasn't ripped off but failed to notice Jack had 10x more money than he thought he had. One wonders how the weasels ferrets get away with everything they do with such a terrible lawyer. Maybe Mr. London is only assigned to Messrs. The Wolves. I do wonder if Rick showing Mr. London's face this time around is specifically because of all the people who said he never shows faces. 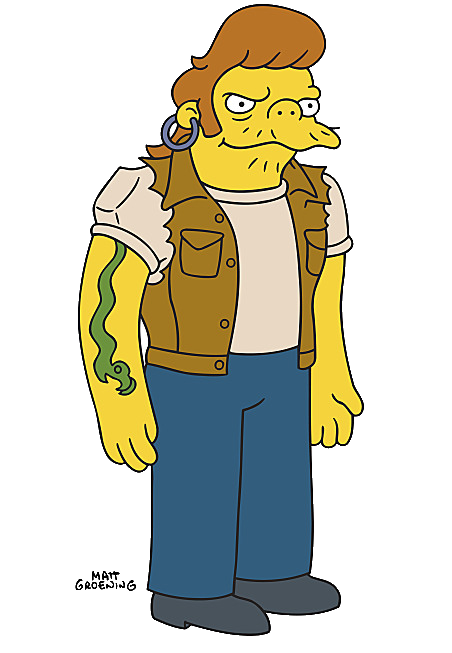 Jack reminds me of Snake and Herman from simpsons. must be the jacket. I want a four-fingered motorbiker mitten just like the one Jack is using. I could only use it if I lost a finger but, well, at least I would get to use the mitten. I knew teleporting to Rick's house and whispering things while he slept would work! Take that, Argent! No wonder their lawyers sue for really big amount. Math isn't a thing for them. ( "open air quote )Ooooo, now I get it! Well played Rick. I love the Milton ferrets attorney Mr. London, he cracks me up! Can we keep him Rick? Huh Rick, Can we!? Maybe that is his way of dressing up to go to the bank? Since y'know normally Jack's not wearing anything at all. Jeez, did he have some gold stored under all that junk!? How the heck did he accumulate $7000?! ...He must have forgotten to place decimal points on his price tags. Relevant? EDIT: There's a meme that I could put up here... but it's definitely not from a family-friendly source. So I won't. I'll just state what it says: "NO ONE SAID THERE'D BE MATH! Also, yea... Gotta agree with D-Rock. That vest (no pun intended. Purely coincidental) ROCKS! Jack looks pretty cool in those clothes. Mr. The Wolf. Any relation to that Peterand fellow that was in here last week? You'd think with seven thousand dollars, Jack would at least try to afford a better lawyer. ...But then again, the lawyer is there because Jack obviously can't count cash anyway! He could have hired Lionel Hutz, that guy actually WON a case once! Pssst, hey, Jack! Give me the rest to me, you don't really need it, anyway! Someone just got an AWESOME deal on those Rembrandts he stole from the mansion. $7,000 ... woof that'll keep Jack happy for a bit. Jack looks like the one armless dude from "The Simpsons." It's just a zero. A zero does mean nothing. That clothing was quite nice. It fit the wolf really good. I wonder if that was awhim of his or if wolves (or any big animal) have to wear clothes when they go to courts or related buildings. I was wondering where this arc would come to an end, it's actually a shame that it's not longer. Of all the side character arcs this top's my list next to Kevin's physical. I feel kinda sad that this ending to this arc looks so... plot-wise rushed. I mean, This story was supposed to end only after we knew ABSOLUTELY EVERYTHING about Jack's personal life. I've been thinking that since I saw the sketch on Rick's Twitty account. 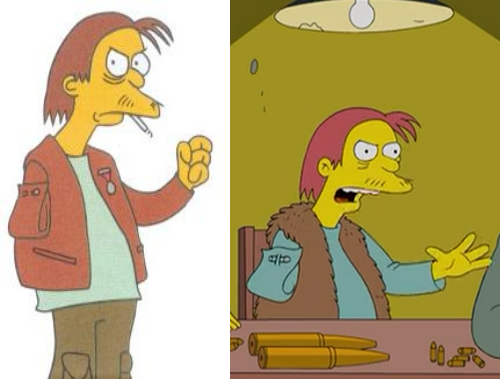 Funny fact: The one armed weapons vendor from The Simpsons was originally meant to give a different reason to how he lost his arm each time he was asked, but so far, he's only said the following to Bart: "Well, kid, let's just say that, when your teacher tells you not to stick your arms out of the bus' windows, you better listen to her." I'm guessing by "unclosed air quote, Rick meant the fact that he didn't write in the second set of quotation marks to show the end of the quotation. "education! should have been "education!" Lastly, now we can have fun guessing where Jack put his wallet, if he used one. My guess is inside the pinned-up sleeve. Last edited by TheOne on Fri Apr 12, 2013 9:06 am, edited 1 time in total. Or maybe Keene bought the store to avoid bad publicity. Thanks for asking, so I don't have to do it. It's meaning when you do quote marks with your fingers and stuff. Since Jack only has one arm, there's only one quotation mark. well now 4FD can pay Poncho the $6300 I think he's earned from this arc. Didn't got understand the alt text at first. Thanks for the explanation. Now I got it. It's also in the speech bubble - didn't see it! GREAT! For those of you not from the U.S.
Dude, The Simpsons is known in over a hundred nations, we all know who those characters are! Okay, so I'm a little slow on the uptake. Jack. London. Call of the Wild.